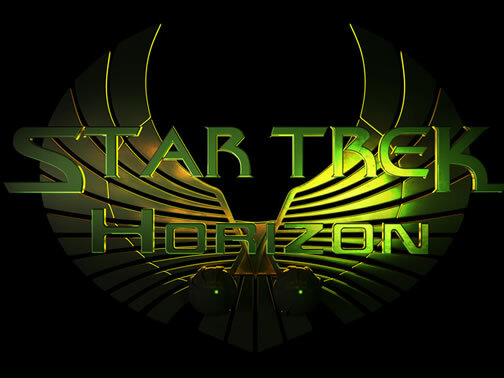 Detroit, MI, April 23, 2014 -- /EPR NETWORK/ -- Star Trek – Horizon, a feature-length independent film currently in production in southeast Michigan, launched their immensely successful Kickstarter campaign over Easter weekend, in an effort to raise funds necessary for completion of their film. In just 32 hours, the campaign earned an impressive $10,000 toward making the ambitious project a reality. The Kickstarter campaign runs through May 19, while the completed film is expected to premiere by the end of 2014. Starring Paul Lang (Captain Harrison Hawke), Marc Bowers (Commander Jackson Gates), Ryan Webber (Commander Francis Brookes), and Callie Bussell (Lieutenant T’mar), Horizon follows Captain Harrison Hawke and the crew of the Earth vessel NX-04 Discovery. In 2160, the Coalition of Planets, a young alliance of worlds led by Earth, is at war with the Romulan Empire. Desperate for a chance to gain the upper hand in the war, the Coalition forms an alliance with T'mar, a Romulan defector, in the hope that she can provide valuable intelligence on her former masters. Project [N] ReSource was co-founded in late December of 2005 by Tommy Kraft. Currently based in Jackson, Michigan, the company focuses on the production of live action films and some machinima.